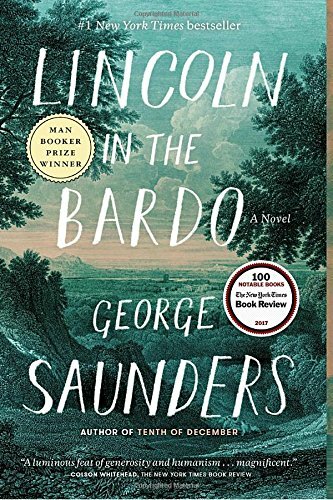 George Saunders book “Lincoln in the Bardo” has won some of the most prestigious literary awards given, including being only the second American book to win the Man Booker Prize. It is an extraordinary book, truly unlike anything I have read before. The book is set in the few days following the death of Willie Lincoln, Abraham Lincoln’s son. Willie Lincoln died of illness during the Civil War. He was a boy who many felt was the very image of his father, more in his heart and demeanor than in his appearance, and Lincoln was devastated by this personal loss. Compounding the loss of his child, the progress of the Civil War was very much in doubt at this time. It was a dark period in the White House. Saunders sets this scene with quote after quote from historians, contemporary observers, and historical documents. In fact, the entire book appears to be a series of quotes in succession. Fans and critics of the president have their say, with both noting that the boy died the same night as the White House held a gala. No doubt the music from the gala traveled to the boy’s sick room, but provided no comfort to the child nor to his distracted parents who frequently excused themselves from their guests to check on him. Many of the quotes are eerily similar to what we read on Twitter and other social media today. Criticism and defense of the president has a strong historical foundation. Once the boy dies, he is interred in a nearby cemetery. The style of the book continues as a series of quotes, but now the quotes are from other residents of the cemetery. People who died and are interred there now get their chance to weigh in, observing the burial of the child and interpreting the actions of the living through the lens of their own lives. And Willie Lincoln himself gets a voice, reflecting upon his own short life and the love he shared with his father. “The Bardo” is a Buddhist construct, a place of waiting where the dead can let go of their lives and then move on to the next plane of existence. In this cemetery lie people who have been waiting, some for days, others for decades, unable to let go of their hopes and dreams, or their “sins” and wrongdoings, and transition to the next stage. We meet and get to know these self-imprisoned souls in their own words and in the descriptions given of them by their fellows. Saunders’ “quotes” are extraordinary, finding voices for people who are lost, alone, disenfranchised, abandoned, and confused. Each character has a unique voice. Their interactions with each other allow their stories to unfold. We meet ordinary people, white and black, rich and poor, shopkeepers and preachers and housewives and the child of a president, and each gets the chance to speak and be heard. There is no “plot” in the traditional sense, but we find the story moving forward by the statements and conversations of the spirits stuck waiting for futures they will not get, held back by pasts they cannot undo. President Lincoln comes to the cemetery to visit his son’s body. That simple event, one that is recorded by historians and contemporaries, creates a crisis of faith in the Bardo. Each spirit waiting there is forced to confront the real reason why he or she is still waiting. Their stories, told in the first person with all the biases and lack of perspective we have about ourselves, are the beauty of this book. You can almost see Saunders sitting there with a tape recorder, capturing their conversations and reflections and sharing them verbatim, unvarnished and unredacted. The author has an extraordinary gift for finding the voice and unveiling the motivations of his characters. Lincoln in the Bardo touched me. Deeply. The book may be about ghosts. But it is the most profoundly alive story I have read in years.